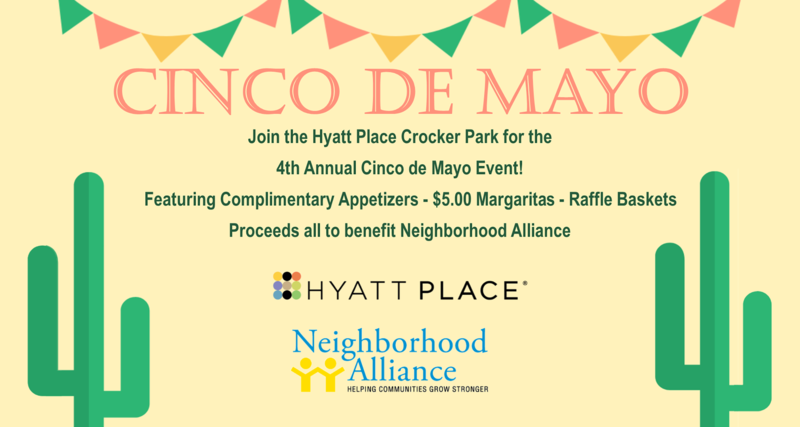 Hyatt Place Crocker Park is hosting our 4th Annual Cinco de Mayo Event, this year partnering with Neighborhood Alliance. All proceeds from the $5 margaritas and raffle tickets will donated directly to Neighborhood Alliance. The event will feature complimentary appetizers, $5 margaritas, raffle baskets, music, and networking. Neighborhood Alliance serves as a safety net for the community by meeting the basic needs of its most vulnerable citizens, while raising aspirations and offering pathways to enhance and improve their lives and the lives of their children.